The Montero cooler tote has a fully-insulated compartment that provides plenty of room for your food and drink items. Take it with you to sporting events, the beach, or on long trips in the car. 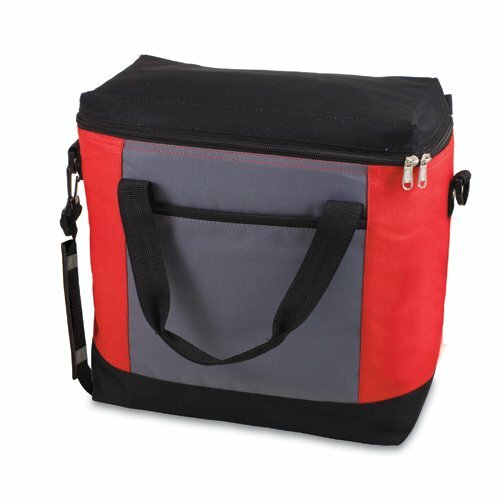 It can be used for transporting cold items to and from parties, or frozen goods home from the market. Montero features durable 600D polyester fabric, an insulated water-resistant liner, padded carry handles, an adjustable, detachable shoulder strap, an exterior zipper pocket for extra storage, and 20-can capacity storage capacity. Versatile and stylish, this bag will prove to be the perfect bring-along tote for all your outings.